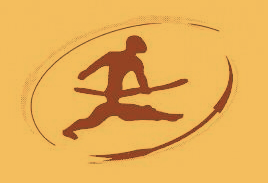 The Eastern Chiricahua Apache were known among the early Spanish explorers, and later Americans, as the Gila, Coppermine, Mimbres, and Ojo Caliente or Warm Springs Apache. 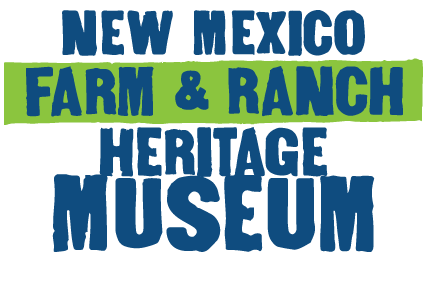 The Warm Springs band called themselves Tchene (Chiende), which means “Red Paint People.” The name “Warm Springs” is a term first used in the mid-1870s in connection with the short-lived Warm Springs Reservation located above the historic community of Cañada Alamosa, known today as Monticello. 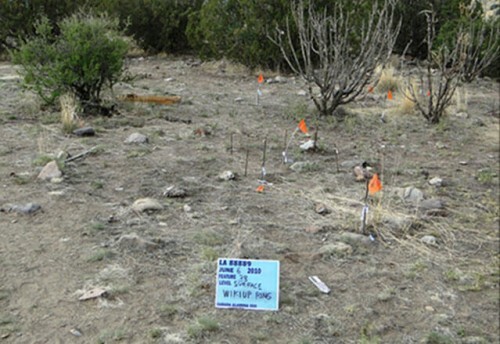 The Tchene utilized a large portion of southwestern New Mexico and northern Chihuahua on a seasonal basis. During seasonal rounds through the region, they hunted and gathered wild food products. 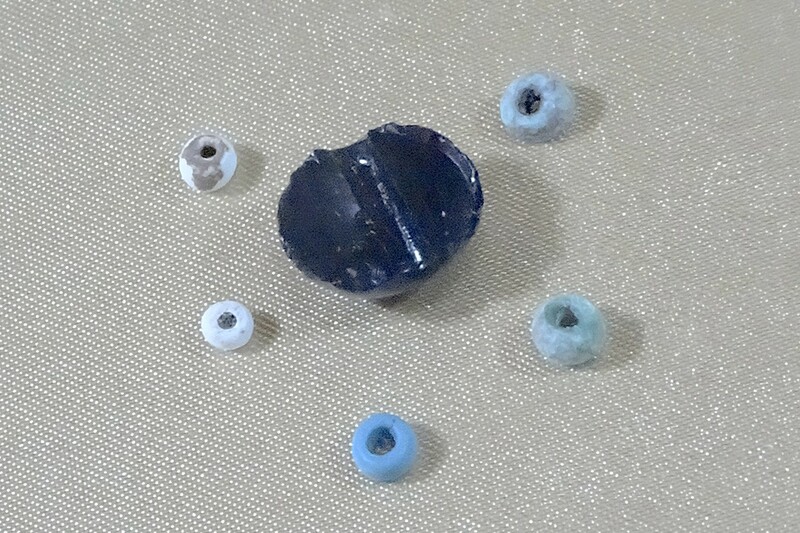 Among these was mescal, which is the baked, interior portion of the agave plant. With its reliable source of water and other natural resources, the Cañada Alamosa drainage was the traditional homeland of the Tchene. 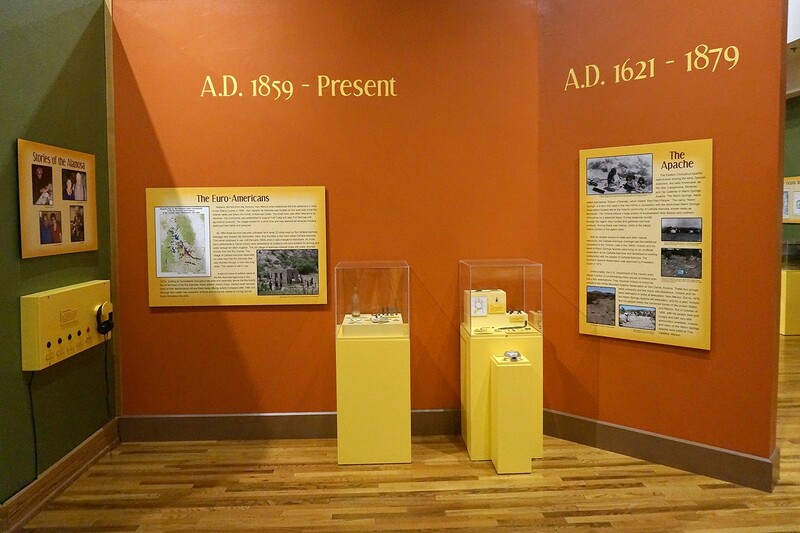 Late in the 1860s, Victorio and his band of Warm Springs Apache were living on an unofficial reservation at the Cañada Alamosa and developed a working relationship with the people of Cañada Alamosa. 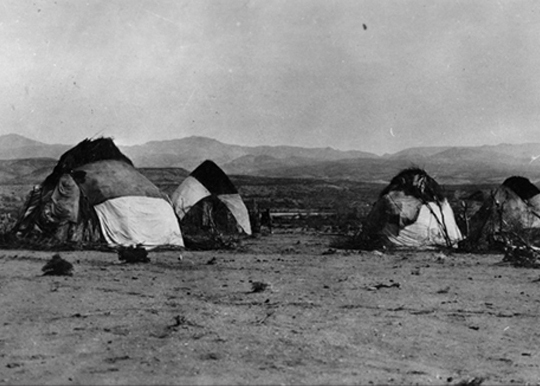 The Southern Apache Reservation was approved by President Grant in 1874. Unfortunately, the U.S. Department of the Interior soon began a policy of concentrating many groups of Indians onto just a few reservations. They required Victorio to move his people to the White Mountain Apache Reservation at San Carlos, Arizona. These two groups were unfriendly and the move was disastrous. Victorio and his band attempted to settle at Mescalero, New Mexico. 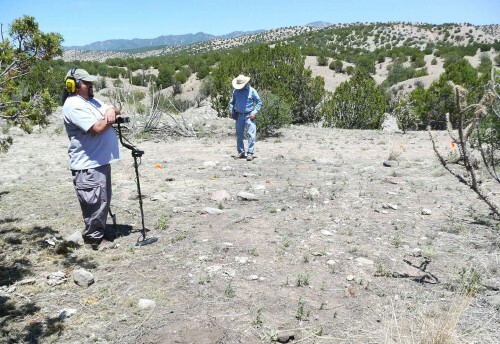 But by 1879, the Warm Springs Apache left Mescalero, and for a year, Victorio and his people defied the combined military forces of the United States and Mexico. In October of 1880, with his people tired and hungry and with very little ammunition available, Victorio and many of the Warm Springs Apache were killed at Tres Castillos, Mexico. 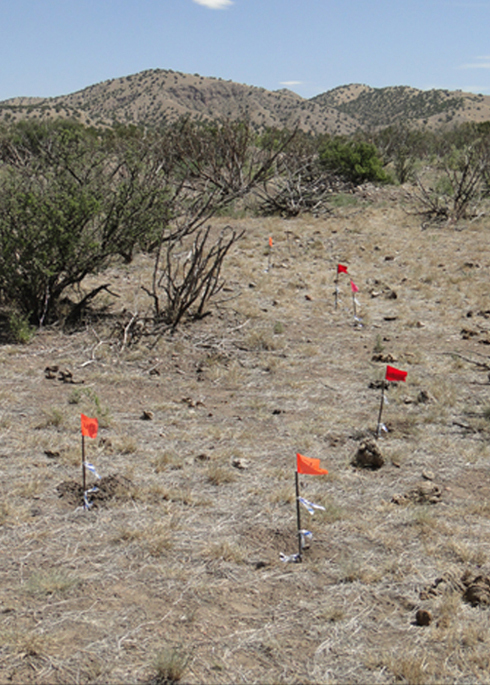 Pin flags mark the location of metal artifacts. 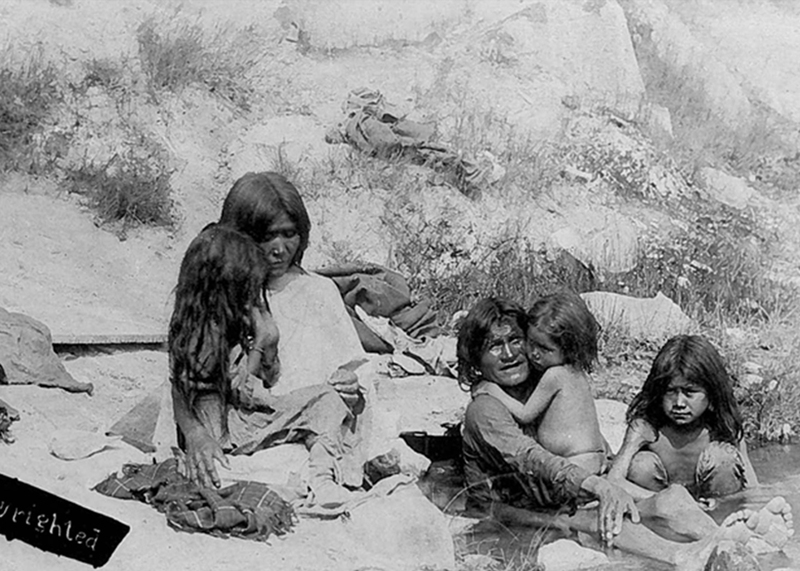 Apaches bathing at Ojo Caliente, New Mexico, circa 1890. Photograph by Dane B. Chase, Courtesy Palace of the Governors Photo Archives (NMHMIDCA), Negative #57025. Apache Wiki-ups, date unknown. 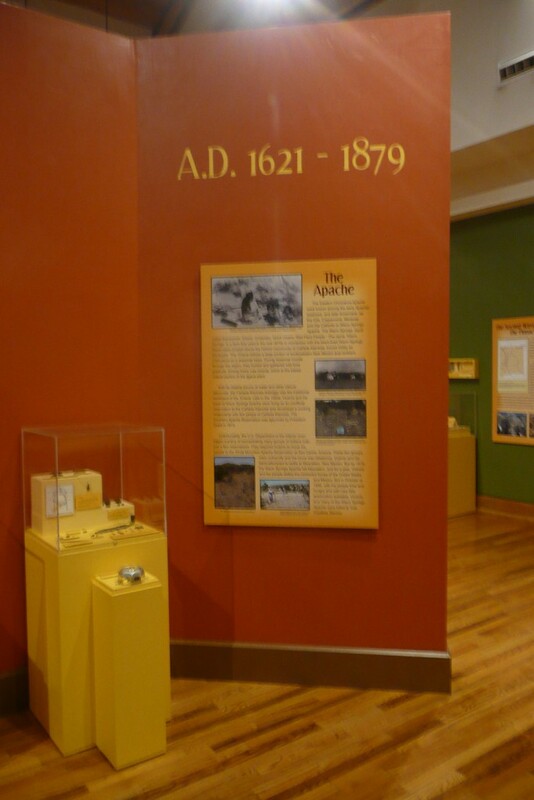 Courtesy Arizona State Museum, University of Arizona, Tucson. Photo #769. Wiki-up is the Apache word for a small cone shaped house constructed of brush and hides. Rocks were sometimes used to anchor the structure. Metal detectors aid in the location of metal artifacts used by the Apache. 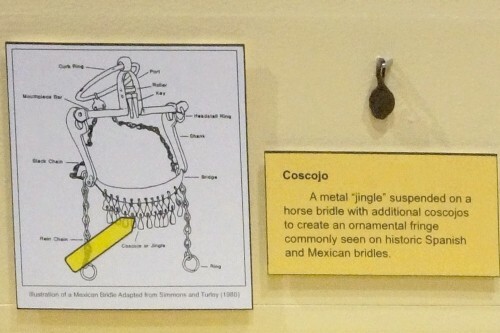 Metal objects were quickly adopted by the Apache after Euro-Americans arrived in the American Southwest. 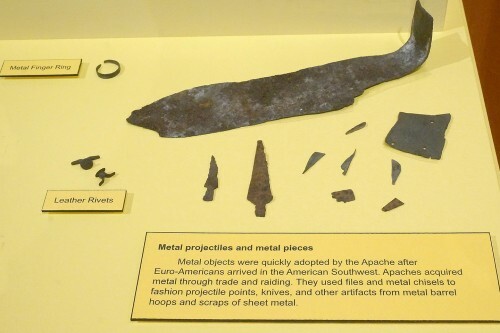 Apaches acquired metal through trade and raiding. 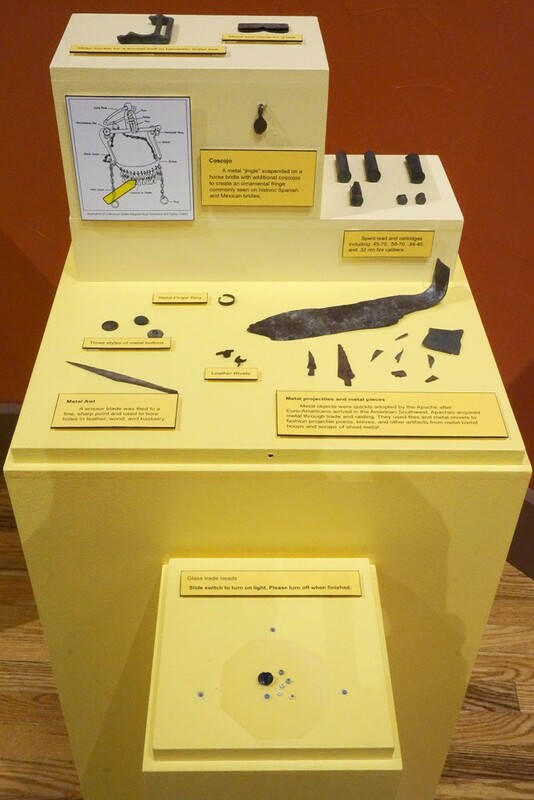 They used files and metal chisels to fashion projectile points, knives, and other artifacts from metal barrel hoops and scraps of metal. A metal “jingle” suspended on a horse bridle with additional cosojos to create an ornamental fringe commonly seen on historic Spanish and Mexican bridles. Spent cartridges including .45-70, .50-70, .44-40 and 32 rim fire calibers. 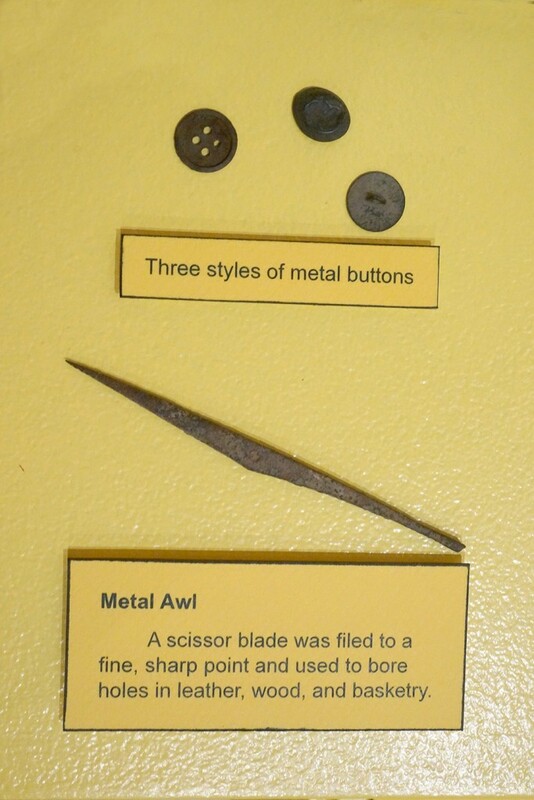 A scissor blade was filed to a fine, sharp point and used to bore holes in leather, wood, and basketry. 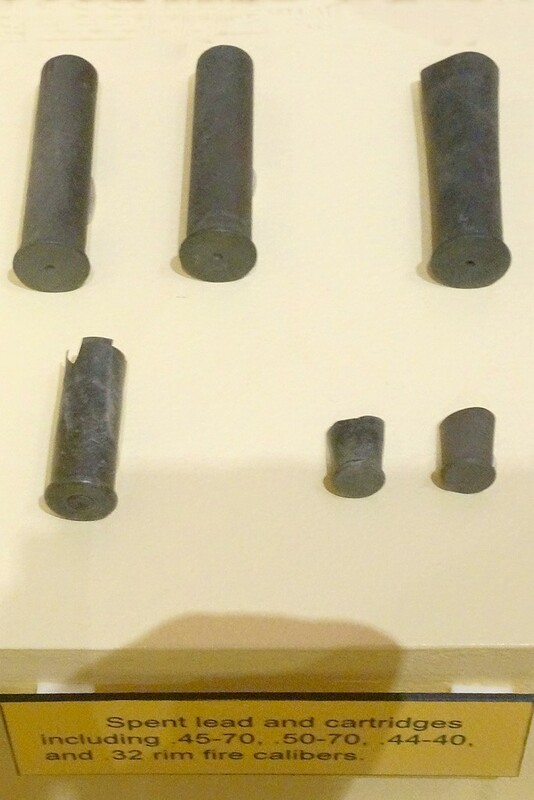 Metal buckle for a trouser belt or bandelier bullet belt and a metal clamp for a belt.